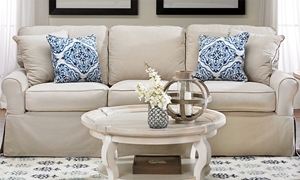 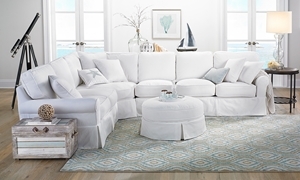 Skirted sectional features durable 8-way hand-tied coils and a removable, cleanable slipcover in pearl white stain-resistant fabric. 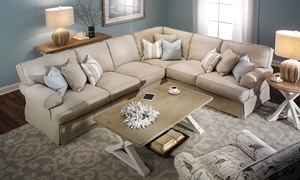 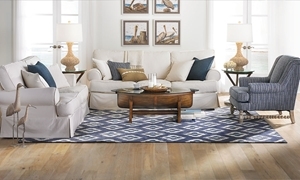 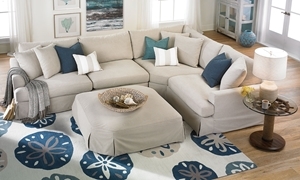 Lawson-style sectional with wide roll arms features a cleanable slipcover over feather down cushions and a hardwood frame. 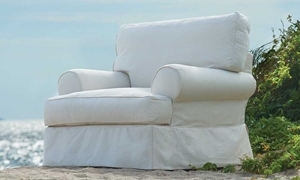 Roll arm chair in breathable 100% cotton slipcover over a kiln-dried hardwood frame and luxurious feather down seat cushion.